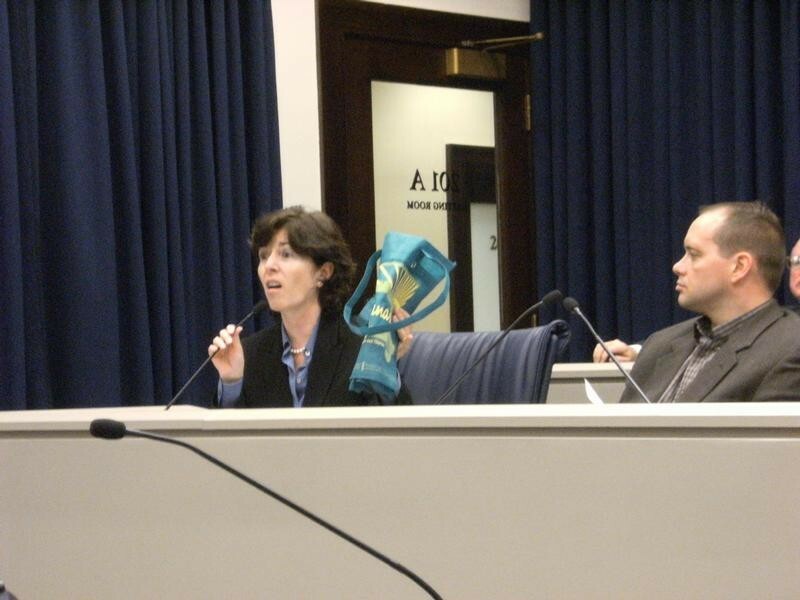 Near the beginning of the City Council’s environment committee meeting Wednesday, a staffer handed aldermen copies of an article describing how an English village implemented an outright ban on plastic shopping bags. Aldermen murmured their approval as they glanced over the story. Only one, the 49th Ward’s Joe Moore, noted the irony. “If a little village in England can seamlessly ban these plastic bags, then surely the great city of Chicago, with its admirable efforts at leading the way in terms of becoming a more green city, can do that as well,” he said. That made some sense. In fact, just about everybody at the meeting—aldermen, city officials, and recycling advocates—agreed that the ordinance before them, which merely requires that certain Chicago stores recycle their plastic bags, probably didn’t go far enough. Then the committee voted unanimously to pass it. This means the ordinance will likely be approved by the full council next week, providing another example of how well-meaning City Council legislation often gets moderated, compromised, or co-opted nearly to the point of pointlessness. Fourteenth Ward alderman Ed Burke, one of the chief sponsors of the plastic bag recycling ordinance, explained its rationale: "I think it’s true that in our everyday lives we’re offered and sometimes bombarded with plastic bags. These bags encase our local newspaper; they’re given to us in excess at local retailers and grocery stores. And while the plastic bags provided to us appear to be a convenience, they quite literally are destroying the planet." A few minutes later, Burke added: "I know there are many who would like to see the outright ban of these bags, but I don’t think we’re ready at this point." Burke didn’t remind the committee that last year one of the City Council’s most powerful aldermen proposed a ban on plastic shopping bags, or that he was that alderman. He probably didn’t need or want to, since that proposal went nowhere. But a few months ago, after New York City passed a weaker law requiring retailers to develop plastic bag recycling programs, 39th Ward alderman Margaret Laurino put together a similar ordinance for Chicago. After several rounds of discussion and amendments, it ended up . . . not all that different from what Laurino first introduced. In other words, far weaker than what everyone but retailers claimed to want. For example, stores that don’t make most of their sales on food or medicine, such as Best Buy and Macy’s, won’t have to comply. And there’s no guarantee the ordinance will be enforced any better than the city’s other recycling laws. “Politics is the art of compromise,” said Burke. “Not everybody’s going to be happy with an ordinance,” Laurino said. The Chicago Recycling Coalition’s Mike Nowak explained why he counted himself among the not-so-happy. "Frankly, we feel that we were not included in the discussion in a meaningful way," he told the committee. "Certain measures that we suggested, such as a fee on bags, were never seriously considered." Laurino continued to assert that she sees this as a “first step.” That sounds to many like a lame excuse for giving away far too much. 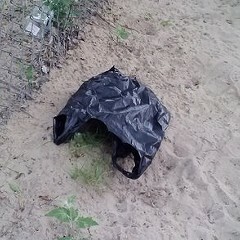 “Let us not forget that the Blue Bag program was a first step that failed to produce a second step,” Nowak said. Then again, maybe Laurino and the rest of the council will prove the critics wrong. After the meeting, while Burke was busy defending the ordinance to a throng of reporters, Laurino stood around talking with colleagues about finding ways to compost unused grocery store produce.